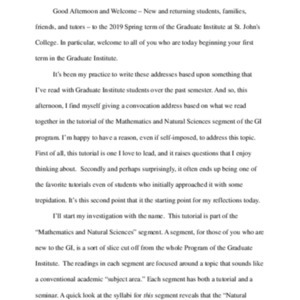 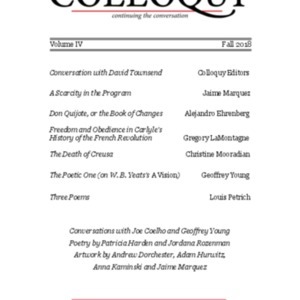 Typescript of the Graduate Institute convocation address given by Emily Brooker Langston for the Spring 2019 semester on January 7, 2019 in Annapolis, MD. 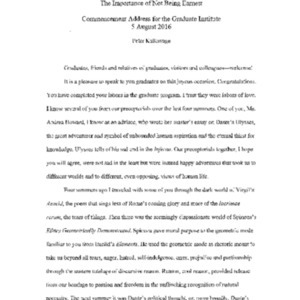 Entitled "The Joy of Recognition". 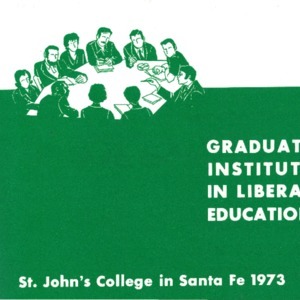 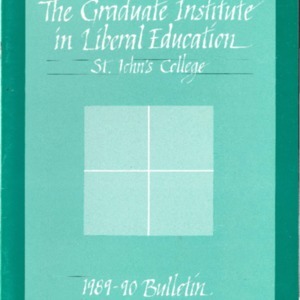 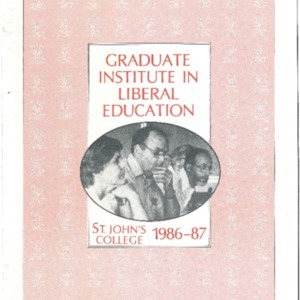 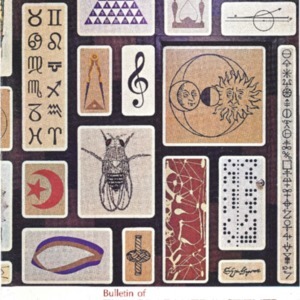 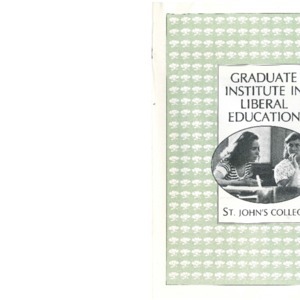 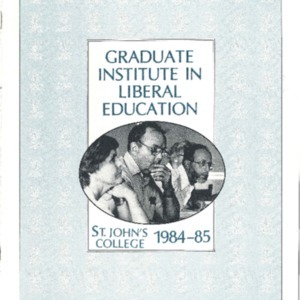 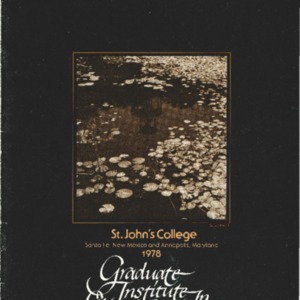 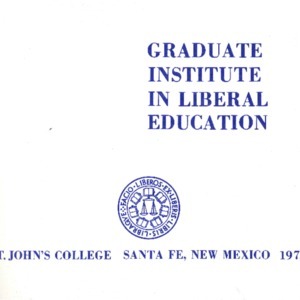 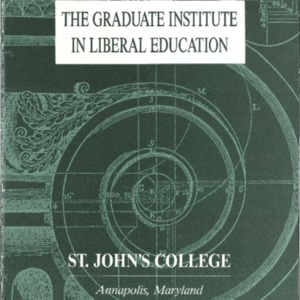 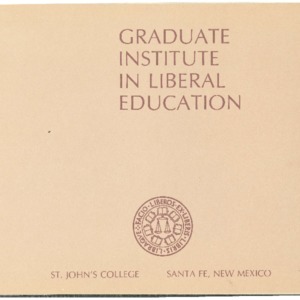 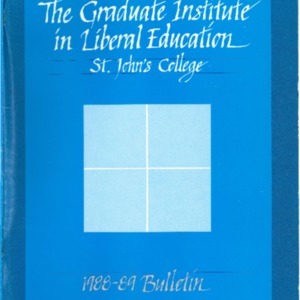 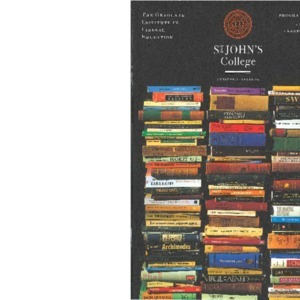 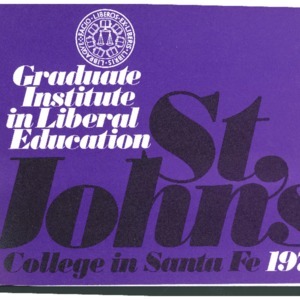 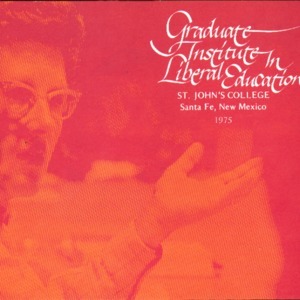 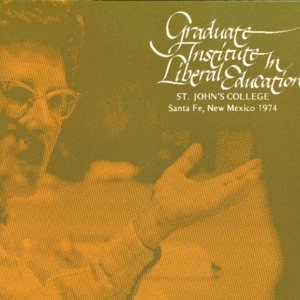 GI college catalog for summer 1971.